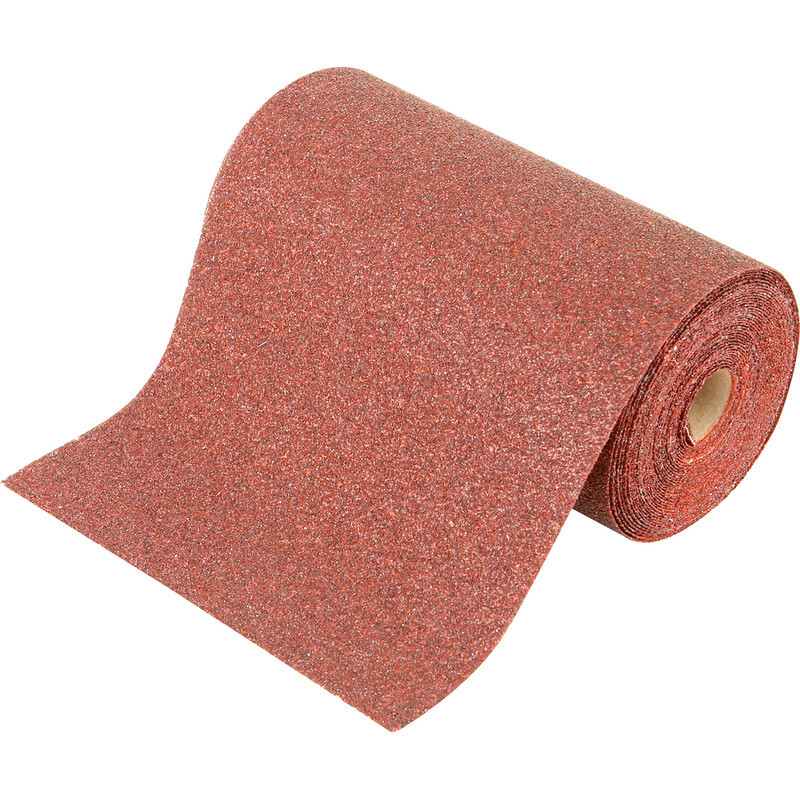 Aluminium Oxide Sanding Roll 115mm 80 Grit 5m is rated 3.5 out of 5 by 53. Rated 2 out of 5 by Harry18 from 80 grit sandpaper I bought this item last week. Not impressed !! Sandpaper tears so easily. Not good quality. I won't be buying this again. Rated 5 out of 5 by Mickywill from Good value I found this to be an excellent product hard wearing and durable on wood plaster and filler I even used it to tidy up the edges of floor levelling compound with good results really good value would definitely recommend. Rated 1 out of 5 by Anonymous from Don't waste your money I usually get Oakey (etc) and thought I'd try the chap stuff this time thinking 'how bad can can it be?' -- answer: very bad! This paper lasts minutes if used by hand, seconds if used in a palm sander. You get what you pay for. Rated 2 out of 5 by sb65 from Cheap but not very robust Paper rips and disintegrates very quickly in use. Rated 4 out of 5 by Royboy2 from Good paper I use this for my sanding block. I have to cut it to fit the block but that's easy. Rated 5 out of 5 by HeraclesUK from Good product & value This was the finest grit of the 3 similar sanding rolls I bought at the same time. I've mostly used the 60 grit, but this one is good for the finishing touches.